A multimedia “show and tell” extravaganza! Well this is it! The Philosophy Society’s Gender discussion event. Do you have an opinion on gender in the 21st century? Do we have equality between all genders? Is gender biological or sociological? 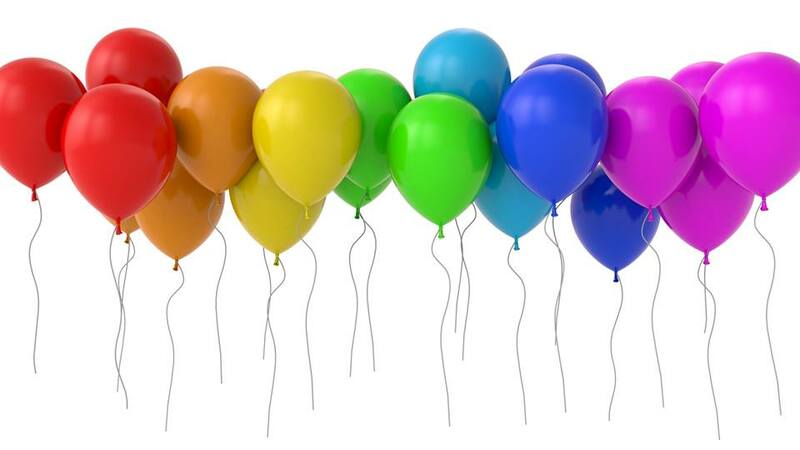 Does the traditional gender binary make sense to you (i.e. the only genders are man and woman)? Are gender roles outdated? Superfluous? Necessary? How relevant is gender for parenting? Career? Leadership? Romance? Can you be a housewife and still be a good feminist? Can you be a househusband without being stripped of your masculinity? 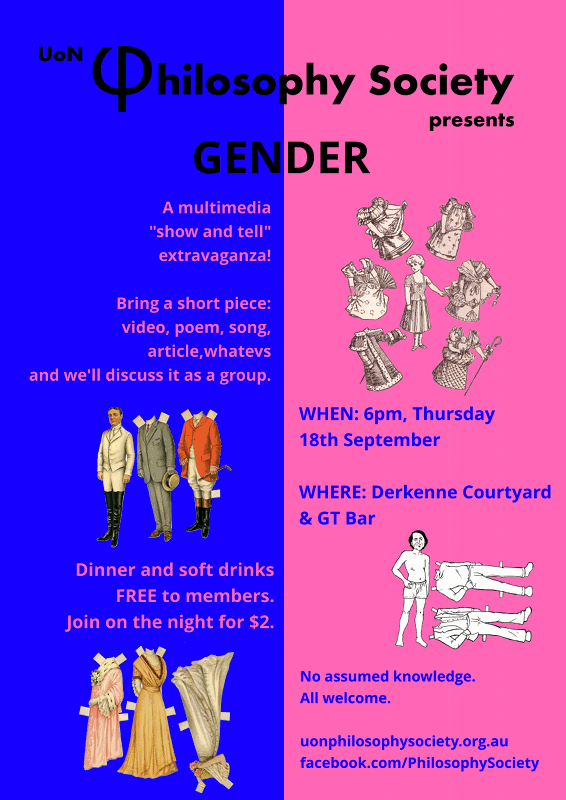 Come along and bring a short video, poem, song, article, picture etc to prompt discussion about gender and gender roles in the 21st Century. 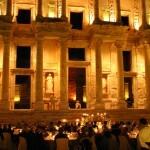 We’ll have the outdoor cinema set up in the Derkenne Courtyard to show any short videos you bring along. Dinner and soft drinks are provided free for members – $2 on the night to sign-up. Many disciplines exploring one problem. A cross pollination of ideas at the edge of understanding. Part conference. Part festival. All for charity. Fusion is a new, annual event brought to you by the UoN Philosophy Society; UoN Services and the University of Newcastle. Some problems are too tricky, and too interesting, to try to solve on your own. Each year, we will bring together many speakers from different disciplines and backgrounds to explore one topic in an entertaining and accessible forum, open to students and the general public; as well as academics and specialists in each area. The event is fully catered. 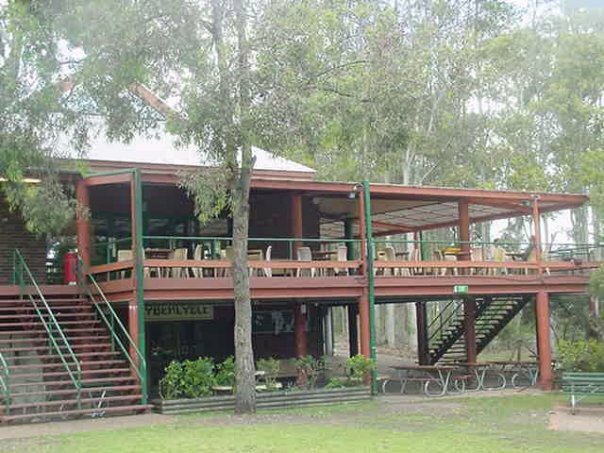 Price includes the whole day, plus morning tea, buffet lunch and afternoon tea. You’ll be free to head off to class and return for the talks you’re keen on. Each year, we will select a charity that we feel is doing their part to solve related problems in a practical way. All proceeds will go to the Newcastle branch of Headspace, for their suicide response initiative. Brought to you by the UoN Philosophy Society. Proudly sponsored by the University of Newcastle and UoN Services. Join the club for a year on the night for $2. 1. Apparently our AGM that we hosted a couple of weeks ago wasn’t valid because we didn’t change the quorum in the constitution and thus didn’t have enough people to attend. So we have to have another one and we have no funding as a club until we do. This isn’t terrible news because AGMs are super quick, we have enough cash to put together a great event anyway and it gives us a good excuse to get together again. 2. We’re going to combine AGM 2.0 with our End of Exams Social Event. We’ll be doing a free BBQ dinner (including something for our vegetarians/vegans), homemade baked goods and (hopefully) free soft drinks for members too. So come and join us! We’ll vote quickly on the proposed changes to the Constitution (have a look at your emails, we sent out notice and details last week – basically changing quorum to 14 people), usher in our new executive and then party the evening away. No set topic this time around – this is just a good opportunity to sit and unwind after exams with some good conversation, board games and great company. If you like to cook or bake and you’d like to contribute something to dinner or dessert, please post on the wall below. We need a minimum of 14 people to come (though we expect many more of course) in order to have a valid AGM, and we need to have the valid AGM to keep providing you with great events. So come along and bring your friends! WHERE: The Clubhouse, under The Bar on the Hill, Callaghan Campus. Our second major event of the year is almost upon us! Before I tell you about the exciting stuff I do need to say that this event is also our Annual General Meeting where we will VERY QUICKLY vote in the new executive and review our Constitution for our new members. We expect the AGM side of things to take less than 15mins. Now onto the exciting stuff: Come and join us for what is sure to be a riveting round table discussion on the topic “Ethics in the Near Future”. 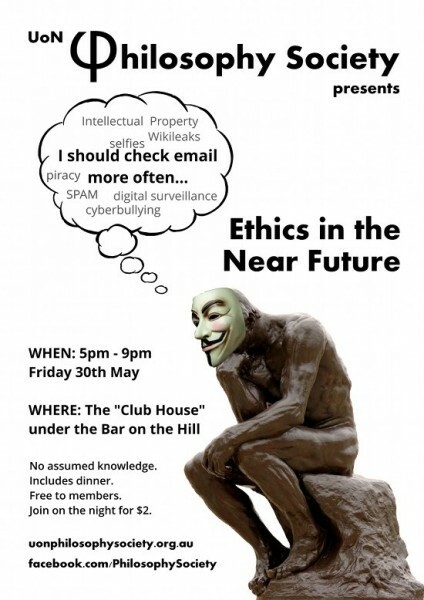 We’ll be discussing a couple of popular ethical systems and applying them to 21st century dilemmas like Internet piracy, Cyber-bullying and Internet privacy. The aim is to figure out whether current philosophical ethical systems can adequately guide behaviour in the 21st century, or whether we need a new ethical system for the Internet and Technology Age. If you want to learn more about current ethical systems and wax-philosophical about ethics in the future while eating free yummy food and talking with interesting people then this is the event for you! As usual, we will be catering for our vegan brethren and handing out free soft-drinks for all. So come along and bring your friends! $2 to join on the night for non-members. 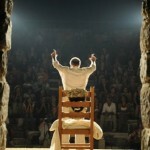 300 performances in 15 countries. Now in Australia for the first time. Showing in Sydney & Melbourne AND (by special request!) The University of Newcastle. 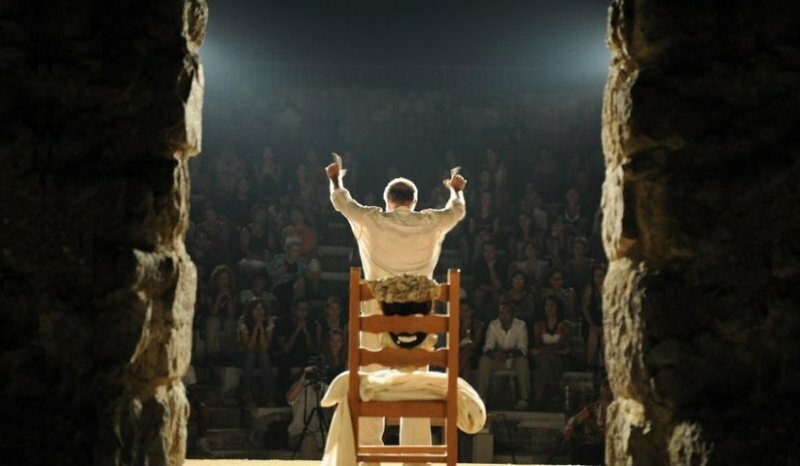 A one-man show by actor/director Yannis Simonides, Emmy Award winner and former professor and chair of the NYU Tisch Drama Department. 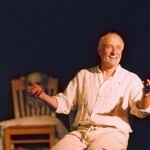 He has performed to the United Nations and European Parliament; with sell-out shows at Oxford, Harvard and Cambridge. When? 7:00 pm, Saturday, 22nd March. Where? The Griffith Duncan Theatre. Club members: $15 ($2 gets you club membership for an entire year!). Purchase tickets through Eventbrite, and use the PROMO CODE: NUPHILO1 (letter o, not zero) for the $15 member price. 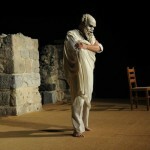 Plato’s timeless classic comes to life through a fascinating one-man show. 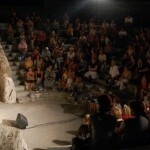 A unique cultural experience and political challenge. 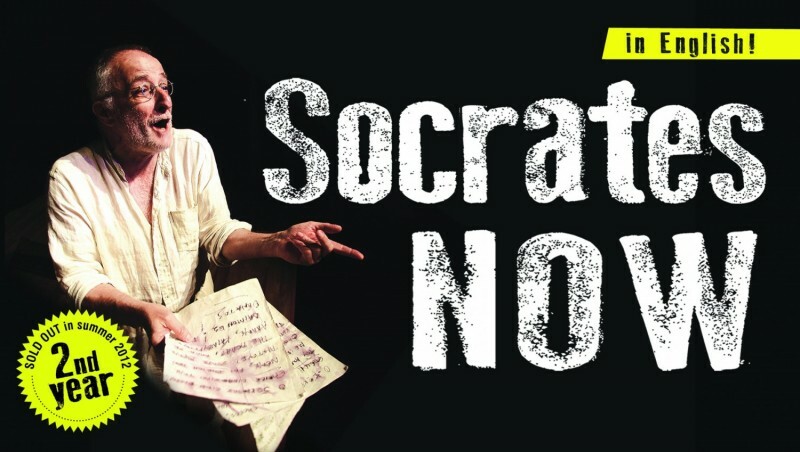 The play is a dramatic interpretation of the defence of Socrates; on trial for “corrupting the youth” with his pesky questioning; and not believing in the city’s gods. It is one of the first trials in recorded history. Plato’s Apology is the classic record of the trial. When reading such a stimulating book, it is tempting to launch into a full-blown “Why I’m Not an Atheist” essay; or a commentary for each of the 50 myths, one by one. Neither are appropriate for this short book review. I’ll try my best to stick to the task at hand. The authors write in an accessible style. 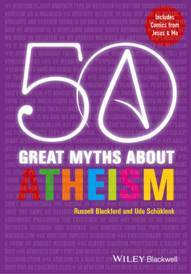 The 50 myths are collected into eight categories, such as Atheism, Ethics and the Soul and Religion and Science. The reader can easily skim the table of contents, and zero in on the most challenging topics. With 50 myths to choose from, plus a ninth part that summarises the new atheist movement, readers will find a few surprises in the mix. For example, I was unaware that atheists are accused of communism. For an academic publication, the book reads as light and entertaining, peppered with humorous cartoons from Mohammed Jones’ Jesus and Mo. But this is not simply fluff. The authors are careful to select real objections, not a set of “easy targets”. Each of the myths is thoroughly referenced, and could be used as a primer for further research into any of the topics. Parts two through five (or myths 11 – 37) hinge on immature “atheism is yucky!” objections. There are such clangers as Atheists Don’t Give to Charity; Atheists Have No Sense of Humor; and Atheism is Depressing. 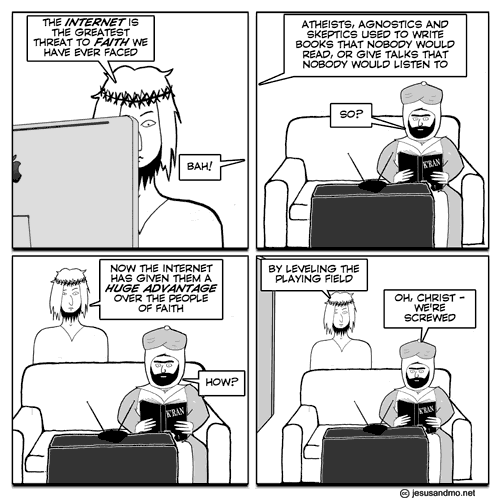 I agree with the authors – none of these objections necessarily follow from atheism. My own criticisms of atheism are – at least I hope – not emotional, but epistemological. Firstly, I find the debate to be a polarising oversimplification. With a section entitled Have We Defeated Theism? and constant reference to their “religious apologist” opponents, this book often perpetuates this adversarial position. Theravada Buddhism is briefly explored as a grey area (p. 12). It is not necessarily theistic, in that it doesn’t posit the existence of gods, but it does involve “supernatural” elements. This leads me to my second criticism of the atheist movement – there is no clear definition of what it means to be an atheist. The word could be interpreted in at least one of two ways: without theistic belief (what I will call the passive version); or against theistic belief (the active version). This ambiguity comes in handy when atheists are argued into a corner. The authors settle on “people who lack belief in any God or gods” (p. 19) as their working definition – which reads like the passive version. They sympathise with a view that, when they’re not writing books about atheism, it is not as central to their lives as religious belief is to religious people (p. 12). I find this unconvincing. When one blogs; speaks on podcasts and in public forums; and publishes articles and books about atheism, I can’t help but see that as an active form of atheism. I can see the motivation for this definition. A major criticism against atheism is that you cannot logically prove a negative. Making the positive claim, that God does not exist, is not something that could ever be proven beyond doubt (what if He’s just hiding in a teapot?). 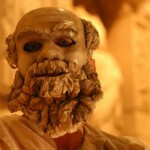 The authors confront this head on in Myth 4 – Atheists are Certain There is No God. Whether this treatment is satisfying or not is up to the reader. However, the entire structure of this book is, itself, a commendable step in the right direction. You cannot prove a negative, but you can falsify the positive claims of your opponents. This is how science progresses so successfully, and this is exactly the approach taken up by the authors here. They line up 50 claims from their opponents, and shoot them down one by one. If you’re still coming to grips with your own opinion on this issue, this book is a great introduction to the atheist position. If this is your tenth book on atheism, then it will still help strengthen your arguments, but I also recommend picking up some round pegs that don’t easily fit into the square hole this debate creates. Go read some Carl Jung; Joseph Campbell; Baruch Spinoza; William James; Plotinus; Alan Watts… And that’s just a small portion of the western canon – less than half of the options the world’s cultures have generated. The Co-op bookshop will be holding an official book launch, presented by Dr. Joe Mintoff, with special guest appearance by author Russell Blackford. When: 4:30pm, Tuesday, 22nd October. Where: The Co-op bookshop, Shortland Building, University of Newcastle, Callaghan. Please RSVP to bwhitehead@coop.com.au by 15th October.